From the benefits and challenges of innovation and technology, to the economic landscape and policy in Washington, the industry is in uncharted waters. Is your brokerage built for lasting success? 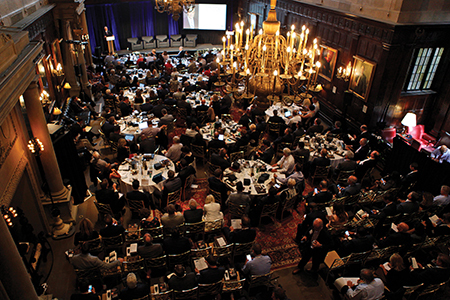 Addressing more than 225 brokers and executives during RISMedia’s 2018 Real Estate CEO Exchange, “Ready, Set, Now: The New Real Estate Reality,” held at the Harvard Club of New York City this September, Leading Real Estate Companies of the World® (LeadingRE) Chief Executive Officer and President Paul Boomsma will keynote “The State of the Real Estate Union,” a perspective on real estate’s significant trends. As leader of more than 565 independent firms from around the globe, Boomsma will candidly explore the macro movements in real estate today, and their impact on the industry. In addition to Boomsma, the Real Estate CEO Exchange will include expertise and insight from speakers Alon Chaver, chief information officer, HomeServices of America; Nick Bailey, chief executive officer and president, Century 21 Real Estate; Dermot Buffini, chief executive officer, Buffini & Company; Helen Hanna Casey, chief executive officer, Howard Hanna Real Estate Services; Boomer Foster, president, General Brokerage, Long & Foster Real Estate; and many more.